Do you remember the highly controversial TLC biopic “CrazySexyCool: The TLC Story”? Well there is more to their story, Tionne “T-Boz” Watkins recently revealed that her and Chilli are working on a book, which she says is going to provide more depth than the group’s 2013 biopic. In the interview, which served as a tribute to TLC’s group member Lisa “Left Eye” Lopes, Chilli and T-Boz also discussed Lisa’s determination to live a meaningful life prior to her passing. Lisa “Left Eye” Lopes’ carries on in the hearts of friends and family everywhere. Throughout her lifetime, she lived outside the box and undoubtedly broke boundaries for herself, TLC, and ladies across the world. 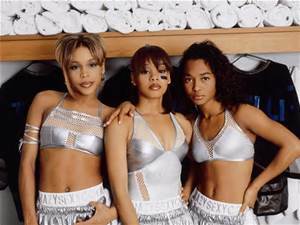 TLC will continue to honor her memory and further their legacy in the upcoming book. Do you think you’d be interested in reading their book when it drops?